The New Scots is a new permanent museum display looking at the lives of a group of refugees and asylum seekers in Glasgow using objects from Glasgow Museums collection and contemporary objects donated by individuals. The display and a new interpretative film is the culmination of a year long engagement programme between the St Mungo Museum and groups of refugees from different religious, ethnic and cultural background living in Glasgow over the past 20 years. St. Mungo Museum of Religious Life and Art aims to promote understanding and respect between people of different faiths and those of none and offers something for everyone. There are regular events, from family-friendly activities to talks about culture and religion in Scotland today. Or you can relax in the popular café which opens out to the first Zen garden in Britain. Exhibition will run from the 22nd to the 24th of June + 2 years. 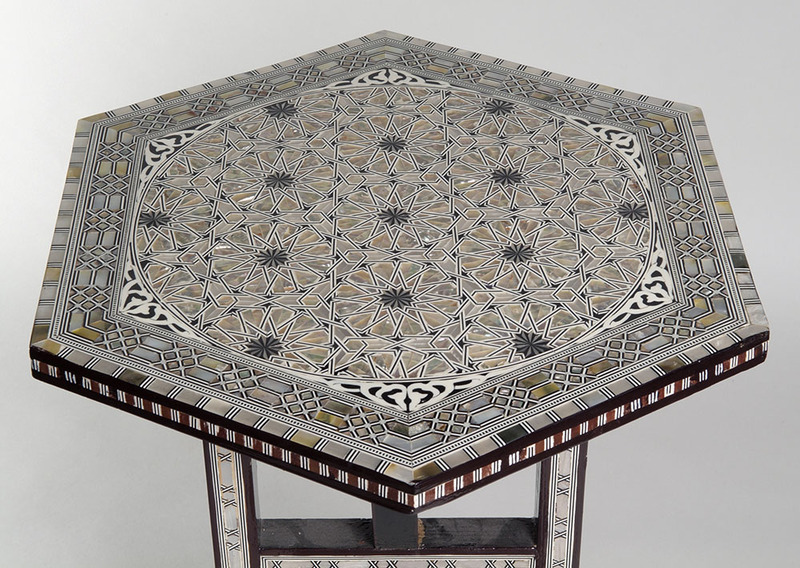 Photograph of:’Side table’, carved wood with mother of pearl inlay and decoration. made in Damascus, Syria, 1990s.